Tim Wheeler, Technical Applications Specialist at AutomationDirect, wrote an article titled Achieving Precision with Limit Switches, which ran in the November 2017 issue of Design World. Tim looks at different types of position sensing switches, and discusses use of precision limit switches in machine tool and robotic applications. Tim says limit switches are a good option in many applications. The differences between NEMA and IEC limit switches are discussed in the article. NEMA switches are designed for more demanding applications such as heavy machinery, mining and foundries—while IEC limit switches work well in material handling and typical automated machines, and cost less. Here are some key selection considerations when using limit switches. Other presence and position sensing option should be considered such as inductive and photo-electric devices as they are touch-free. 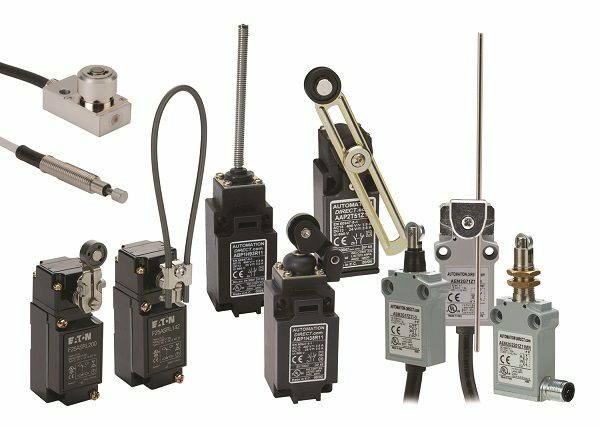 Being non-contact, and usually configured with a solid-state output, these devices work well for high-speed automation, but limit switches can also work well in similar applications. Tim also covers applications for limit switches, showing how with careful design they’ll work well, and are easy to integrate and maintain. The article discussed the leading limit switch selection criteria as listed in Table 1 below. There are many actuation methods such as levers, plungers and rods—along with a variety of actuation directions. The actual application and mounting orientation strongly drives the actuation method. Repeatability was also discussed. Checkout an overview of industrial limit switches here. Several limit switch design considerations were discussed as listed in Table 2. It’s important to consider these points to reduce potential problems. A big point is to limit impact and travel. While the switch can take a lot of abuse, avoid hard stops when possible, and minimize actuation distance or rotation. It’s also important to limit side loading as these can damage the switch. Shock and vibration should also be minimized because too much of either could actuate the switch and cause unexpected operation of a machine. Tim next talks about precision limit switches. He pointed out that a switch with 0.5 µm repeatability can reliably detect thin sheets, and can be used in harsh environments such as a CNC machine tool with spray coolant. He also pointed out other applications. Limit switches are popular, robust and reliable if properly selected and installed. They can also be extremely precise when needed, opening up a wide variety of suitable applications. To read more articles related to process sensing and control, click here.